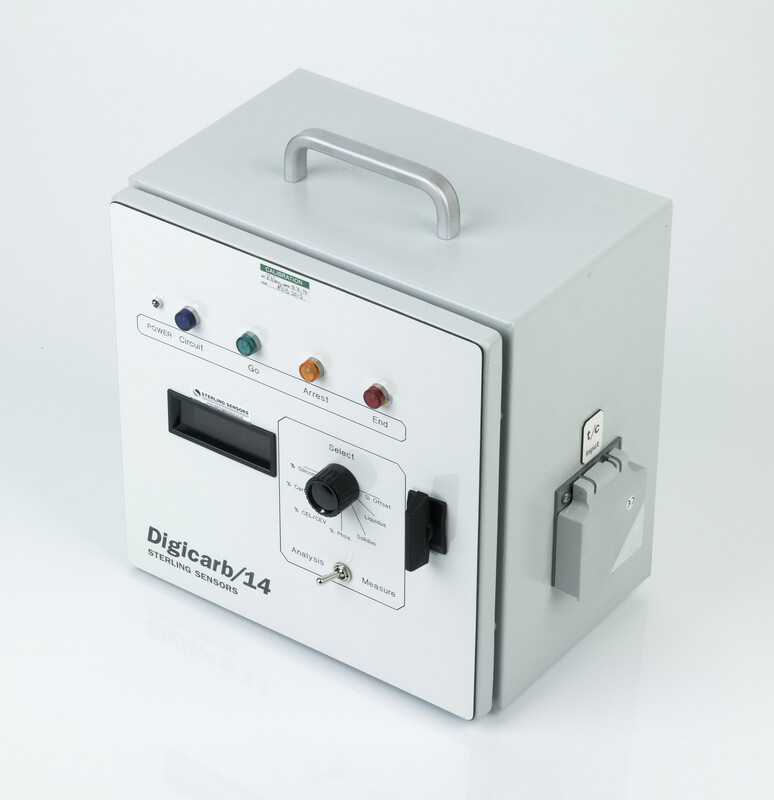 DIGICARB/14 is a digital instrument used in the automatic thermal analysis of molten iron. 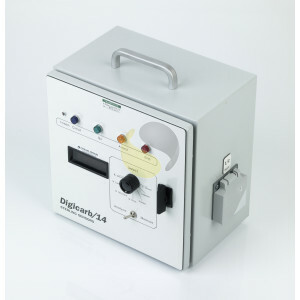 It is designed for use with plug-in, fast response, type K thermocouple sample cups. 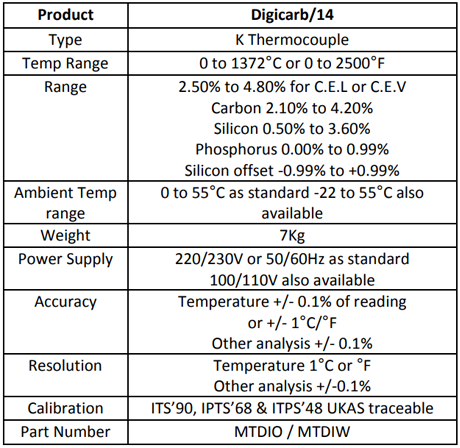 A separate switch allows for the continuous measurement of the cooling curve temperature, liquidus and solidus temperatures are momentarily displayed.